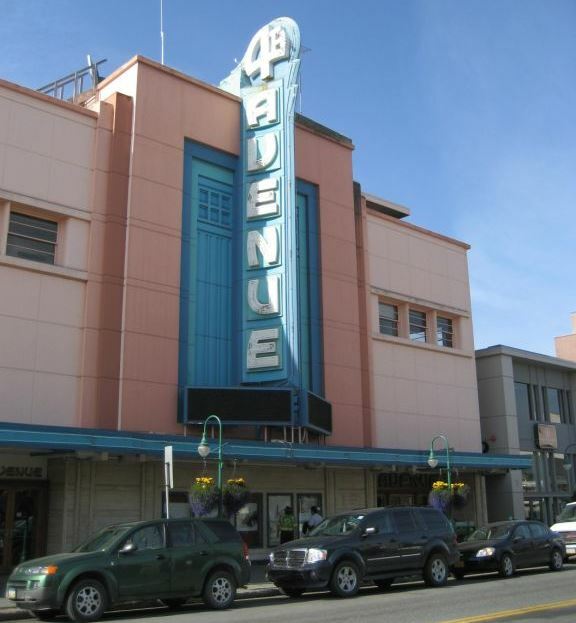 Street view of one of Anchorage's iconic buildings, the 4th Avenue Theater. Anchorage, Alaska, (population 280,000) is located on the shores of Cook Inlet. The English explorer Captain James Cook is credited with first exploring and describing the Anchorage area in 1778, and Russian explorers had established themselves in southern Alaska by 1784. During the next hundred years Russian trading activity increased in the inlet, and Russian cultural influence increased as well. In 1867, problems at home forced the sale of Russian America to the United States for the sum of $7,200,000. In 1915, the federal government sold the first lots for the new town and started a booming tent city on the shores of Cook Inlet. The federal Alaska Engineering Commission managed the town until 1920, when Anchorage was officially incorporated. Since then, the city has endured many cycles of a boom-and-bust economy, which has at various times centered around the railroad, the military, the 1964 earthquake, oil exploration, and construction of the Trans-Alaska Pipeline. In 1975, partly as a result of the area’s rapid growth, the city of Anchorage and the Greater Anchorage Area Borough combined into the Municipality of Anchorage, which today encompasses 1,955 square miles and is the commercial, educational, and cultural center for Alaska. The Alaska Gallery at the Anchorage Museum displays more than a thousand objects related to Alaskan history and culture. The museum explores the changing material culture of Alaska’s native people, as well as exploration and settlement by the Russians, the gold rush era, World War II, and statehood. Full-scale and miniature dioramas present the early lifestyles of Alaska’s Aleuts, Eskimos, and Indians. Recently, Anchorage has sponsored a number of public events and lectures to highlight the history of Alaska’s natives, the Dena’ina. The municipality has installed interpretive panels in high profile areas along trails that describe the Dena’ina culture and life, highlighting areas in Anchorage that were used for fish camps, hunting areas, and winter homes. Designated a Preserve American Community in April 2004.